[prMac.com] Sacramento, California - iHomeEducator(R), Inc. has released iLiveMath1 through iLiveMath4 to provide educators different options in teaching math and science. The app series has been designed to be cross-platform and focus on key grade levels. iLiveMath blends science and math based questions with photos to help engage students providing cross-curricular teaching opportunities. For record keeping and review, results are tallied and can be emailed to the parent or instructor. Variables are randomly generated so the problem variations are nearly endless. There are a variety of quiz and problem sequences for repeatability, review, and, reinforcement with each app. "iHomeEducator(R) apps can be found throughout [our] recommended lists because of their sound educational value throughout the curriculum and across grade levels, along with the attention paid to provide apps that are Universally Designed for all Learners (UDL)." Lisa Pospishil- Assistive Technology Specialist and Apple Distinguished award winner. Arlene Lee, Co-founder and CEO, said, "As a parent and educator of three children, we strive and have carefully developed mobile applications based upon the child's grade level and interests. We've seen our own children benefit a great deal and we hope that our applications will help your children find learning to be new and fun as well." 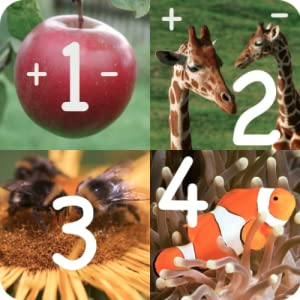 Other apps in the series will include iLiveMath5 through iLiveMath8 which will be released for iOS and Android. iLiveMath Animals of Africa, iLiveMath Animals of Asia, iLiveMath Oceans, iLiveMath Speed, iLiveMath and other apps in the iLive series for Math and Language Arts are only available on iOS devices. iLiveMath1234 Lite is free with sample problems. iLiveMath Series price range is between $0.99 to $4.99 depending upon level and App Store. Founded in 2009, iHomeEducator, Inc. is a leading indie designer, developer, and publisher of mobile apps. The company has released both educational and productivity apps to supplement school curriculum and to help people be more efficient. iHomeEducator has been recognized by Apple's What's Hot, New and Noteworthy, Middle School Zone, Applying Math, GameClassroom, IEAR Best App awards, Moms with Apps, Asperkids Seal of Awesomeness, Tech and Learning, Accredited Online Colleges, and many more. Their apps have been used by families and schools around the world. iHomeEducator is a sponsor of worldwide EdCamps helping teachers and edTechs collaborate in building the &amp;amp;quot;21st Century Classroom&amp;amp;quot;. Copyright (C) 2013 iHomeEducator, Inc. All Rights Reserved. Apple, the Apple logo, iPhone and iPod are registered trademarks of Apple Inc. in the U.S. and/or other countries.